A few months ago, I received an email which mentioned that a “posh kebab” joint was opening in Kingly Court. I made a mental note. With the next few weekends being considerably busy, hubster and I decided it would make sense to make some time for us so organised date night. This is something we did religiously when we were dating but since getting married, it’s been put on a back burner. When we left the house in the morning, no plans had been made, but by 4pm I had a message telling me to meet him at 6.15 at Piccadilly Circus (just like the old days!). 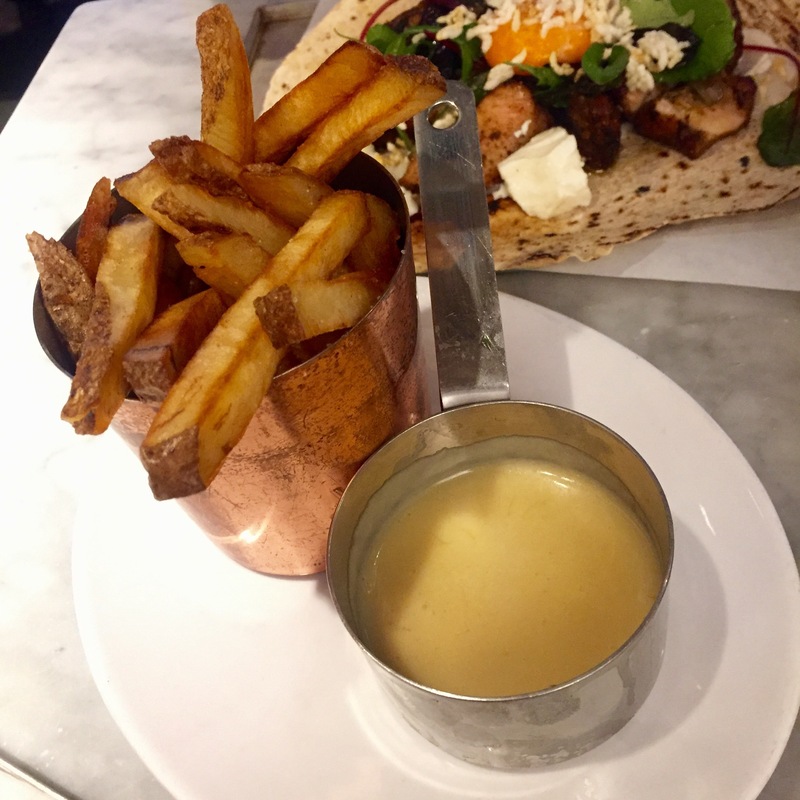 We met and walked down to Kingly court where we finally made our way to Le Bab. The waiter arrived at our table quickly and asked if we’d decided on drinks. 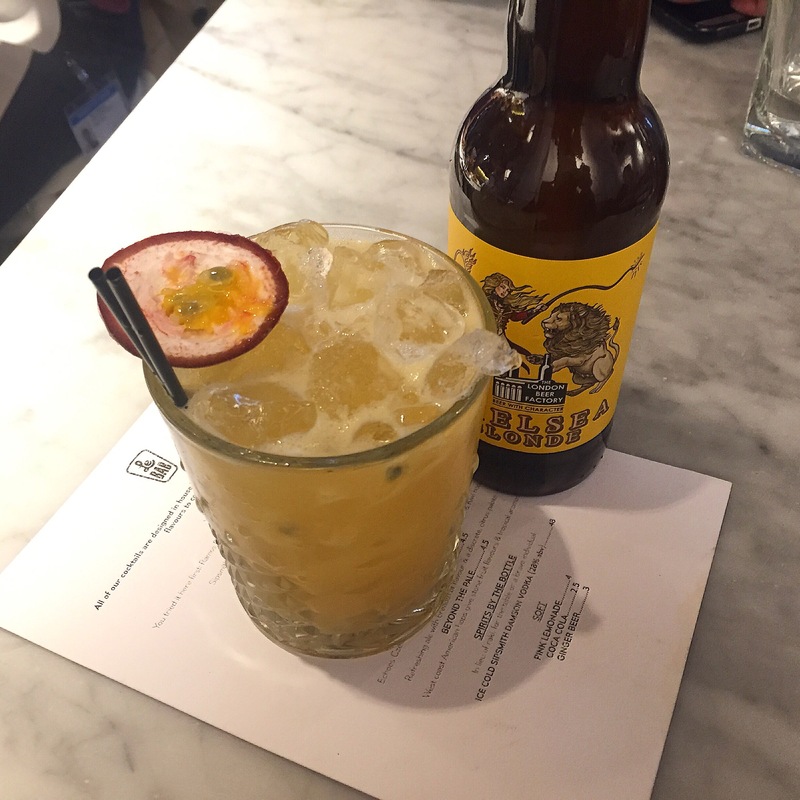 I went with the passion fruit caipirinha whilst the husband went for a Chelsea Blonde beer. The caipirinha was rather alcoholic and even Mr R commented that it was the strongest caipirinha he’s had since Brazil. The beer was flavourful but bitter. For starters we decided on the Scotch Kofte. To be perfectly honest the meat was slightly under seasoned whilst the egg was perfectly cooked. We also felt that the portion was a little on the small side. The sauce it was served with was probably the saving grace and added a bit of depth to the overall flavour. Around 15 minutes after we finished our starter, out mains arrived. We decided to share the mains so half way through we switched plates. 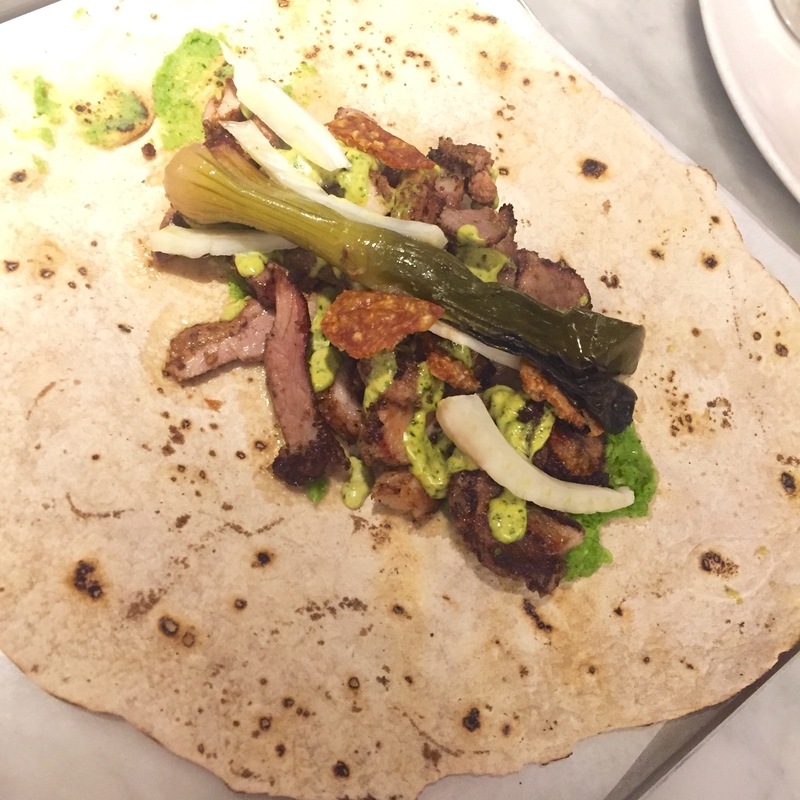 I started with the 15 Hour Free Range Pork Shawarma which was served with grilled spring onion, roasted white broccoli purée, fennel pickle, crackling and cherimoya mayo. On the whole I think the various ingredients were lost in this dish and may as well not have been present. The pork was definitely soft but could have done with a bit more depth of flavour. However the crispy crackling did add a welcome crunch. On the whole it was made so much better by adding the toum (garlic sauce). Mr R started with the chicken and egg which consisted of rice and chilli purée, mesclun leaves, pickled Burford Brown egg white, poached egg yolk, puffed rice. He commented that based on the fact that he’s mostly eaten kebabs at stupid o’clock and can’t remember them the next morning, this was possibly the best kebab he had tasted to date. The chicken was cooked to perfection and seasoned well with the egg adding some extra flavour and the puffed rice adding a nice crunch. We also ordered the fondue fries which was good, but to be honest I would have been as happy if not more happy with the yummy fries and a big bowl of toum! 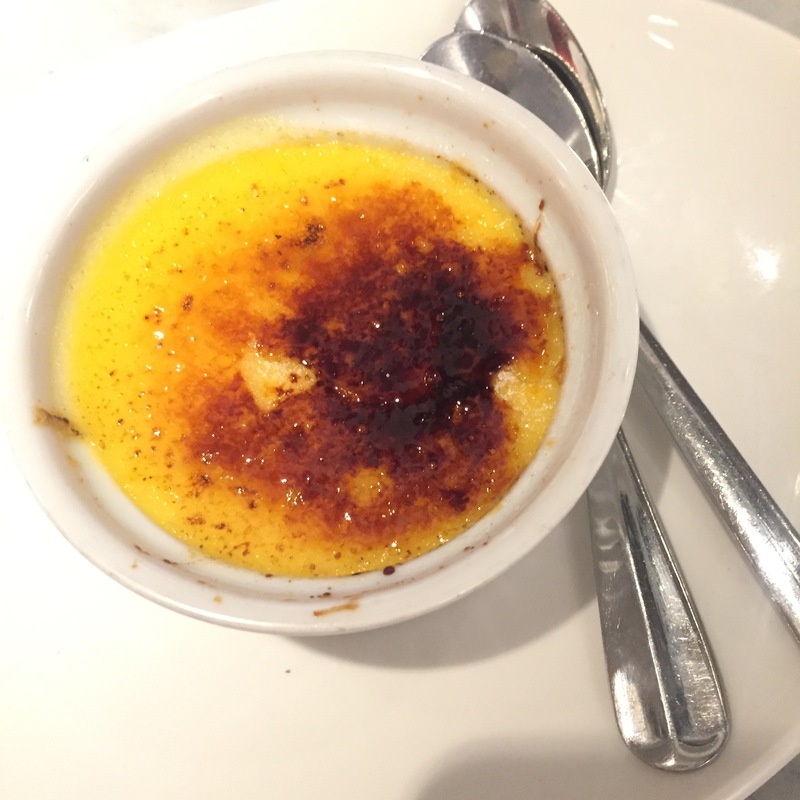 To finish off our meal we ordered the creme brûlée. This was velvety smooth and creamy, without being too rich. 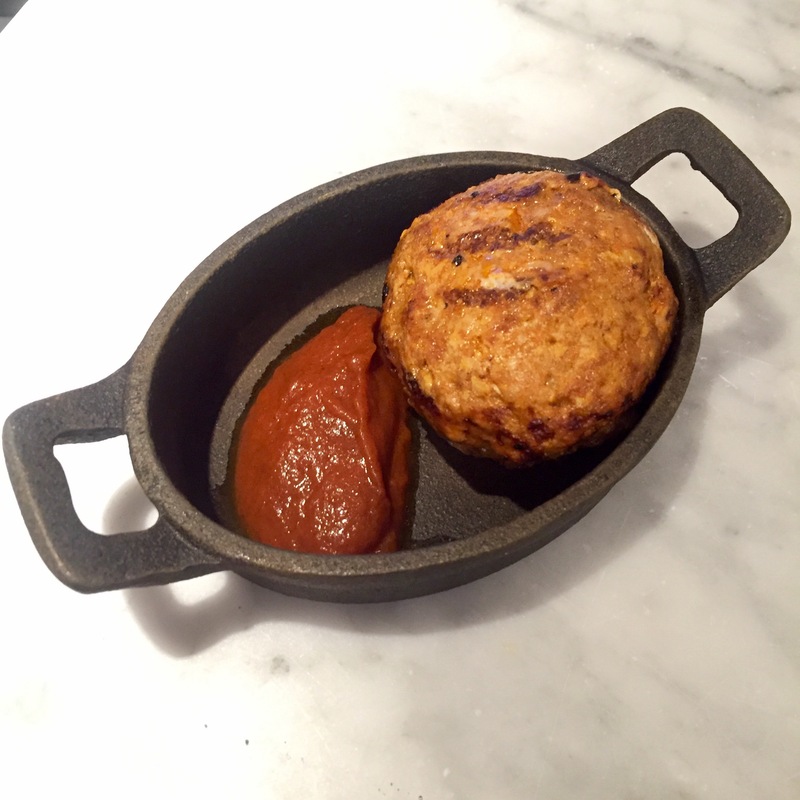 It was served at room temperature with a freshly burned topping which added a delicious crunch! 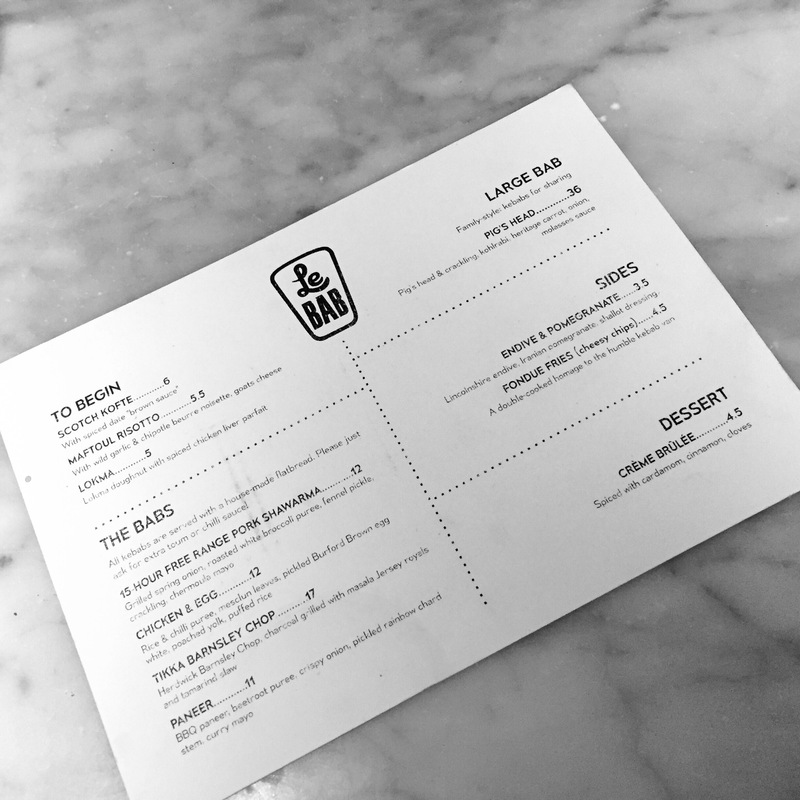 The atmosphere of Le Bab had a real buzz and the staff were friendly and attentive. However the portions were small and the flavours not quite as strong as one would expect given the descriptions on the menu. 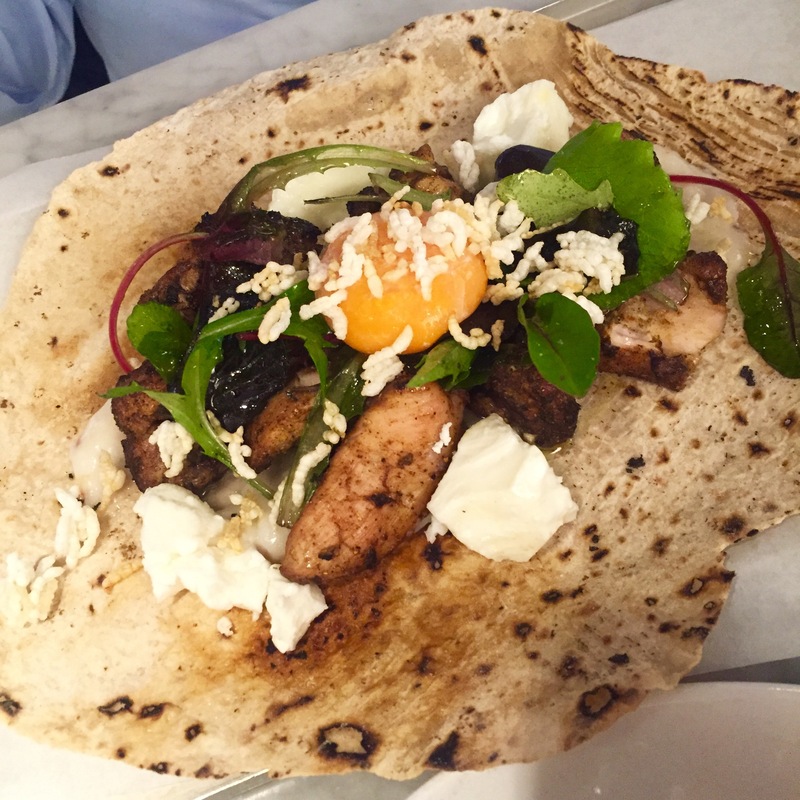 Over all I have to say if you’re visiting Le Bab for a “posh kebab” it is exactly what you will get!